Up Next: The Broadway smash hit musical Disney's Newsies, May 2-12 at the Byham Theater! Registration is open for Summer Musical Theater Camp, June 17 - July 13! Visit the Summer Musical Theater page for more information and register now to secure your spot! Receive 10% off tuition paid in full by May 28th. Please continue to believe in and be a part of the remarkable storytelling of Pittsburgh Musical Theater as we SEIZE THE STAGE! The Rockin’ West End Series will take place in PMT’s very own Gargaro Theater. Originally built in 1915 as the St. James School, The Gargaro Theater was rededicated via a Board of Directors gift in 2015 in honor of our Founding Artistic Director, Dr. Ken Gargaro. This theatrical venue is an exciting new opportunity for Pittsburgh Musical Theater to explore the use of our new space including edgier, more exciting titles for our adult audiences. Pittsburgh Musical Theater is thrilled about these new opportunities, and can’t wait to continue entertaining you in our new home. Pittsburgh Musical Theater performs thrice a year as part of our educational programs. In December, our annual tradition, A Lyrical Christmas Carol takes place. In the spring, the students of the Richard E. Rauh conservatory perform their spring Teen and Pre-Teen shows. On Christmas Eve, Scrooge sits in his house with not a kind word for anyone; he just wants to be left alone until the 'humbug' of Christmas is over. But four ghostly visitors - his former business partner, followed by the Ghosts of Christmas Past, Christmas Present, and Christmas Yet to Come - show him the error of his ways, and by the time Christmas Day dawns, Scrooge is a changed person. The entire family will enjoy this timeless classic peppered with your favorite Christmas carols. The Richard E. Rauh Conservatory offers the finest training in the Pittsburgh area in dance, music and theater. We are particularly proud of our educated, talented, and accomplished Resident Artists. Conveniently located in Pittsburgh's West End. PMT's Pre-College Program has served as a pathway to Broadway, feature films, and University training. Graduates have matriculated at Yale, CMU, NYU, Boston Conservatory, Florida State University, Penn State, Point Park and many others. The Pre-College program offers advanced classes for students with "Broadway Dreams." 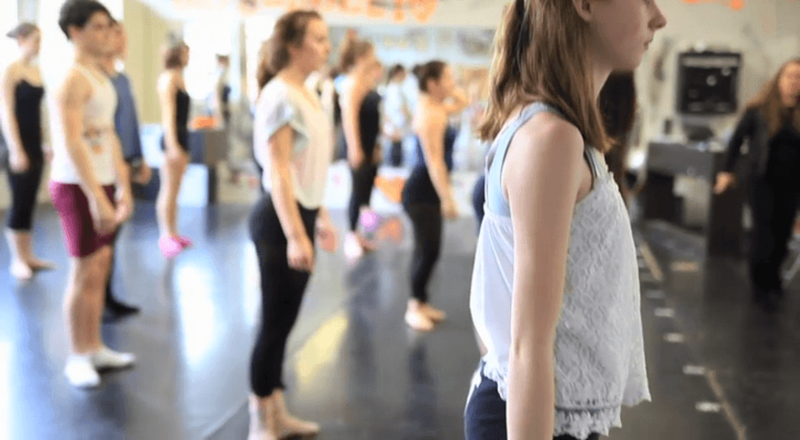 Pittsburgh Musical Theater holds an annual open house, where you and your student can tour the facility, have questions answered, and even take a few sample classes. Additionally, if you are a business owner, you can advertise with us and have your ad seen by over 30,000 patrons in a season! Season and show sponsorship opportunities are also available. Please contact us at any time via info@pittsburghmusicals.com or call us at 412-539-0900. Please fill out the form below to join our newsletter e-mail list. PMT does not sell or share our e-mail list.